Failed presidential candidate Hillary Clinton's philanthropic foundation suddenly can't get any donations, reports the New York Post. 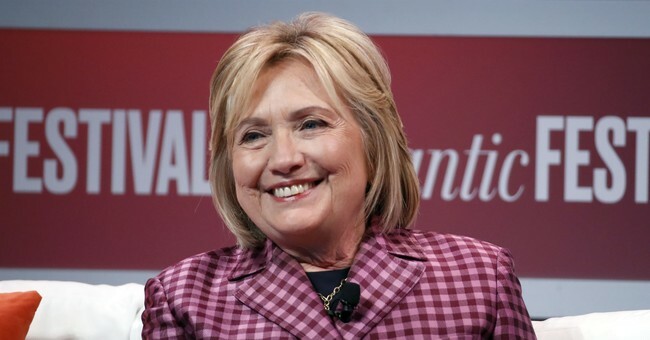 The Post reports that since her 2016 defeat to Donald J. Trump, the Clinton Foundation has experienced a 58% drop in donations from patrons around the world. Specifically, "contributions plunged from $62,912,331 in 2016 to $26,566,825 in 2017, recently released federal tax filings show." Likewise, Hillary and her hubby Bill Clinton just can't rake in the cash for their speeches like they used to. The Post's Isabel Vincent reports that "revenue from speeches given by the Clintons also fell from a high of $3.6 million in 2015 to just under $300,000 in 2017. In 2016, during the presidential campaign, the non-profit took in no earnings from speeches, tax filings show." The Post also notes that "The $36 million nosedive in donations has come to light as Republican legislators plan to hold hearings on the results of a federal corruption investigation into the non-profit next month."